Music posters - 2Pac posters: Tupac poster featuring the rapper with a spliff. You can see lots of smoke on this poster. 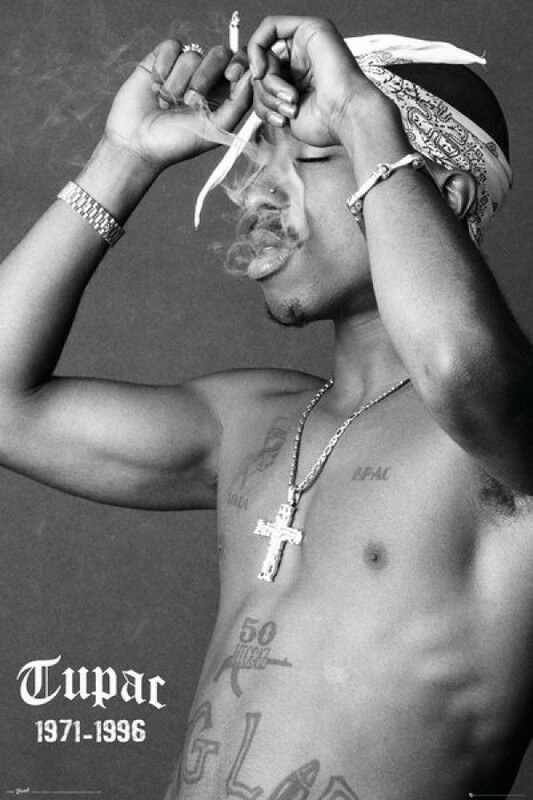 This black and white 2Pac poster features Tupac's dates 1971 - 1996 and a reproduction of his signature. 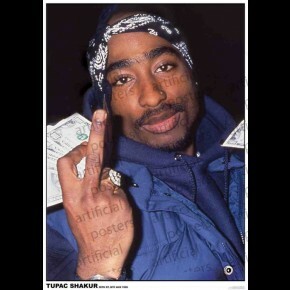 Official 2Pac poster.